A diplomat who is privy to confidential information, regarding the relocation of Palestinian Arabs living in Gaza, to the Netherlands, has detailed the lengths to which the Dutch Government is assisting in transport. 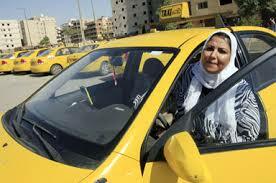 Gaza residents are taken, by taxi, at Dutch expense, to the Airport in Amman, Jordan, where they are flown to the Netherlands, to ostensibly emigrate there. The Dutch Government, acting through the Dutch Embassy in Israel, pays all the expenses. Readers who are wondering why the Dutch are not using Israel's international airport, be advised that the Government of the State of Israel does not allow residents of Hamas-controlled Gaza to "emigrate" through its airport. Given that only with Hamas approval is any travel approved outside of Gaza, you can expect that a large percentage of these "emigrants" are Hamas agents, ans are money launderers, fundraisers, assassins, sleeper agents, and other terrorist operatives. The Dutch are, in essence, financing terrorist movements into the European Union. We have previously* detailed the fact that Hamas, sanctioned by OFAC as s Specially Designated Global Terrorist organization (SDGT)uses the Netherlands as one of its major fundraising centers in Europe. 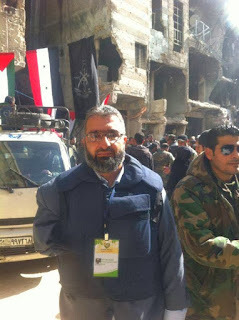 Perhaps you recall our coverage of Amin Abu Rashed, the senior Hamas fundraiser in the Netherlands, and his travels to Syria. 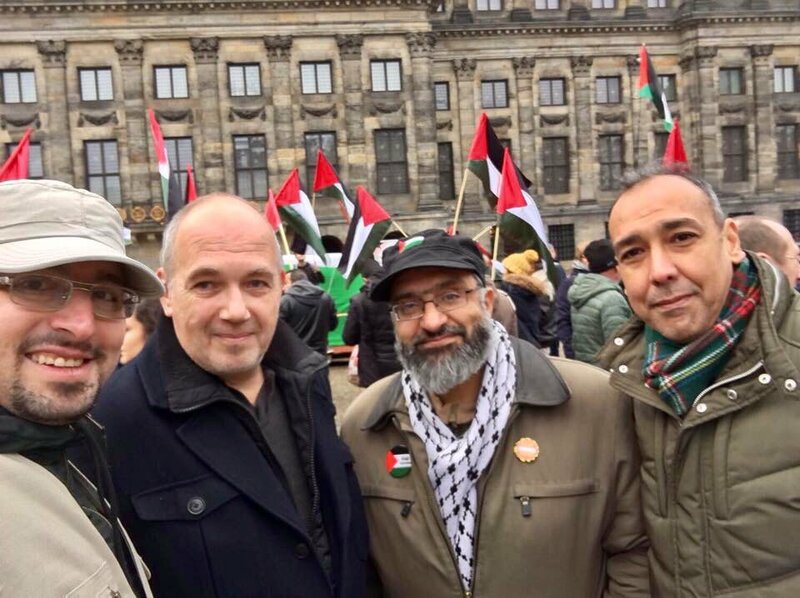 We wonder what the people of the Netherlands will have to say, when they learn that their tax dollars are paying the taxi fare of Hamas terrorists, so that they can relocate to Europe, and live next door to them. WILL THE NEW TAX BILL ACTUALLY ENCOURAGE MONEY LAUNDERING INTO THE USA ? The new Tax Reform Act, as passed by Congress and signed into law by President Donald Trump, provides much-needed tax relief for American corporations, including a reduction in the corporate tax rate, but it may have unwittingly facilitated the repatriation of cleaned narco-profits into the Continental United States. 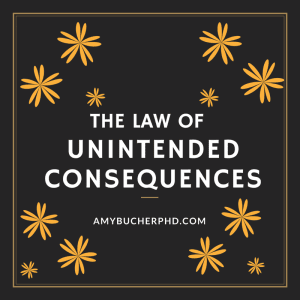 Are you familiar with the Law of Unintended Consequences ? It appears that the drafters of the new tax laws forgot that, included in the billions of dollars held overseas, to avoid the 35% corporate rate rate on repatriation, are huge accounts that contain criminal proceeds, owned and controlled by Americans engaged in drug trafficking, who move their illicit profits, held by shell companies, into foreign financial institutions, to avoid not only law enforcement seizures, but corporate income taxes. drug profits, disguised as overseas cash earned by a controlled domestic corporation, and slip it right by overworked IRS auditors, who will be flooded with repatriations in 2018. We trust that the Internal Revenue Service, unlike the US Congress, has or will now consider that potential loophole, and adjust its audit procedures accordingly, for otherwise a boatload of formerly dirty money will end up disappearing into the legitimate economy, empowering the traffickers whose money launderers had the foresight to drive their clients' overseas wealth right through it. 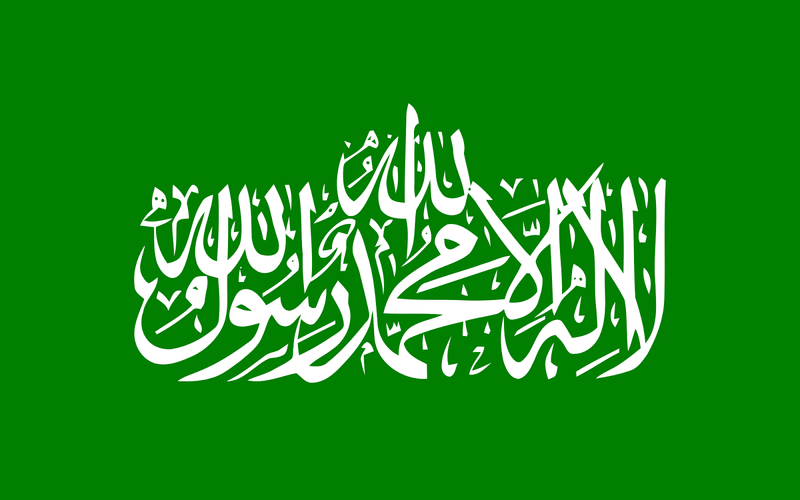 WILL THE EAST CARIBBEAN REPUBLICS ISSUE CBI PASSPORTS TO HAMAS MILLIONAIRES ? The threats posed by Middle Eastern terrorist organizations are worldwide in scope, and it is necessary to be watchful of any developments which might indicate that Specially Designated Global Terrorist Organizations are expanding into new areas or regions. It is especially important to guard against new terrorist financing operations. The open arms policies, of the republics of the Eastern Caribbean, regarding who they sell their lucrative Citizenship by Investment passports to, have resulted in a number of candidates being approved that the global financial community regards as high risk, or even career criminals, not deserving of such camouflage for their dark activities. 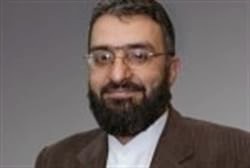 It may now get worse; a review of recent media indicates that a new high-risk, and potentially lethal, class of CBI applicants may have the opportunity to disguise themselves in sheep's clothing; Hamas, the Palestinian terrorist organization, whose bloody, radical Islamist history has earned it the SDGT designation in the United States, as well as in other Western countries. 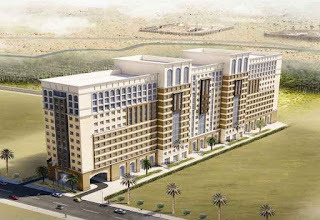 (1) Mohammed Asaria, the Vice Chairman of Range Developments*, the Dubai-based builder of luxury projects in the East Caribbean, funded in part through CBI applicants, in a recent interview stated openly that he has given priority to Palestinians, as CBI investors, due to the fact that many of them do not hold Jordanian passports, but only travel documents. Range's Black Bay project, in St. Lucia, has become its latest major undertaking; St. Lucia's new CBI program was only launched last year, and the country is anxious for it to succeed as a major source of cash flow for its economy. A prominent Dubai-based financial advisory firm, specializing in expats, has purchased a private bank facility there, possibly in anticipation of the flow of Middle Eastern capital into the new CBI jurisdiction. (2) A recent visit to St. Vincent, of a Palestinian contingent from a financial investment firm, openly expressed interest in what would be a CBI-funded construction project on the island, with the investors reportedly receiving Vincentian passports. Anyone familiar with individual wealth profiles from the Palestinian Territories knows that, with rare exceptions, the vast majority of the millionaires who live there, reside in Gaza. Those individuals, who became affluent due to their membership in Hamas, reportedly earned their money through multiple illicit activities that render their assets criminal proceeds: drug trafficking, diversion of international aid money. illegal taxation of the civilian population, and receipt of funds from State Sponsors of Terrorism, to name a few. Therefore, not only is their money unacceptable in any East Caribbean CBI program, their newfound CBI passports could be used to facilitate the movement of terrorist financing, placing the jurisdiction squarely in the cross-hairs of American counter-terrorism investigations, as well as close US monitoring of international financial transactions, for seizure purposes. Also, any suspected presence of known Hamas agents in the region could invite a major American response, and attach credibility to the persistent rumors of the existence of a hidden Hamas training facility in St. Lucia. The Global War on Terrorism is seldom gentle in its application of force. Given the abysmal history of regional due diligence, in examining CBI applicants, and the pervasive influence of corruption in EC governments, we could see terrorists holding those prized CBI passports, after payment of bribes and kickbacks. Additionally, given the imprecise transliteration of names, from Arabic to English, one should expect new, completely clean names on those passports, making proper identification impossible. It is up to the leadership of those countries, and their CBI programs, to act as gatekeepers, to see that no affluent terrorists obtain those precious identity documents. Will they keep out Hamas ? We cannot say, but we will be watching. The uproar over the new EU blacklist, emanating from those East Caribbean countries that maintain CBI programs, and were sanctioned for noncompliance, has drawn attention to the possible serious consequences of the EU action. It is also important to point out that many of those EC nations that escaped blacklisting, due to the hurricane, only have a short reprieve, before they are also sanctioned, for all who do not comply by February will be automatically blacklisted. Is is noteworthy that the international CBI consultancies that market the half dozen East Caribbean programs have not only ignored the potential impact upon their applicants/clients, but moved forward with new, optimistic press releases, for the coming year, or encouraged the jurisdictions to release information, detailing 2017 successes. You better believe that compliance officers, both in North America as well as Western Europe, will take the blacklist actions into account in 2018. (1) The international consultancies, who refer to their staff as "legal specialists," do not contain attorney-advisors duly admitted to practice in the island nations they profess to render advice upon. - Does the local court system follow the Rule of Law, or does the ruling party influence the decisions of the judges ? - International taxation issues, involving both the applicant's current, as well as prospective country of residence or citizenship. - The current reputation of the specific Eastern Caribbean country, regarding the presence of money laundering & financial crime, and whether local law enforcement agencies ignore it. - Does the government have the power to revoke the CBI citizenship, and under what conditions ? (2) The sales staff at these international consultancies may never even set foot in the jurisdiction they are hawking, with the result that their selection for their client may be based upon the amount of commission they earn, rather that the best fit for the specific client, such as possible health consequences of visits, racial, ethnic or religious prejudices of the local population, or travel problems. (3) More importantly, will the acquisition of a CBI passport from a specific country cause a bull's-eye to be painted upon the client's back, due to a major criminal case in a Western country, or a terrorist action, traced back to the jurisdiction, or disease, or some other untoward event, cleverly overlooked at application time, by the sales staff. Unless the advisor is an experienced attorney, with hands-on experience in the jurisdiction, and admission to practice in the country being offered, the advice rendered, is, in my opinion, inadequate, and the client may later rue the day he or she sought out the consultancy, due to hidden problems neither previously disclosed, nor discussed, that appear without warning. Unqualified, non-attorney salesmen at international CBI consultancies are not well serving their clients. * It is submitted that local CBI consultancies in the East Caribbean countries, operated by attorneys admitted in their jurisdiction, are in a better position to advise applicants, especially on legal, political and social issues that directly affect the risk levels applicants should be aware of. Whether each local attorney is properly covering those risk issues with each applicant is not known, as well as whether international tax liability issues are on the agenda. After failing to reach a verdict this week, the jury in the New York Federal criminal case popularly known as the Zarrab case, the Iran oil-for-gold sanctions evasions case, has recessed, until January 3, 2018. It deliberated for three days last week, without a decision. The only defendant participating in the trial is HalkBank Deputy CEO Mehmet Atilla, as Reza Zarrab, the gold/oil trader who was the principal defendant, pled guilty, is cooperating with the Government, and testified against Atilla last week. The remaining defendants are not in US custody. It is of interest to note that Zarrab's brother and co-defendant, Mohammed, holds a passport form the Comoro Islands, a country whose sales of passports to dodgy foreigners was the subject of a recent article on this blog, entitled Comoro Islands Passport Sales to Foreigners render all of its Passports Dangerous. Court watchers are reviewing the recent filings in the case, looking for any indication that Zarrab has implicated others in the massive scheme, in which illicit Iranian oil profits were laundered through the American financial structure, posing as sales of permitted humanitarian goods. Zarrab's partners, Babak Zanjani, and Alireza Monfared, are likely co-defendants, as are a host of Iranian, Malaysian and Dominican nationals, all of whom facilitated the illegal operation. As all these individuals are outside US jurisdiction at this time, some may already have sealed indictments on file against them, only to be made public if and when the targets are in the custody of American law enforcement agencies. 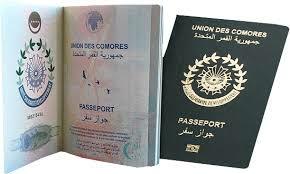 If you thought that CBI passports, issued to dodgy foreigners by Grenada and the Commonwealth of Dominica posed a clear and present danger to international banks, look at the situation in the Comoro Islands. 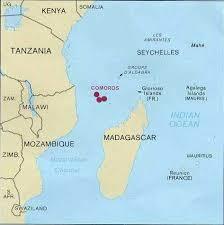 The Comoros, an obscure island chain east of Africa, appear to have sold their national patrimony, to all who apply, no mater how unsuitable the individual. These are CBI and diplomatic passports, for sale, no questions asked. For example, Mohamed Zarrab, Reza's brother, who is also fugitive from justice in the landmark Iran Oil-for-Gold international sanctions evasion case, has one, as do other Iranian nationals on the US Treasury Department's OFAC list. One source says there have been 2800 diplomatic passports issued, in a tiny, underpopulated island nation; many have been as ambassadors to UNESCO, a ploy which many readers should recognize, as the favored "assignment," which has no real responsibility to actually perform diplomatic duties, employed by corrupt officials in several countries issuing passports to foreigners in the English-speaking East Caribbean republics. 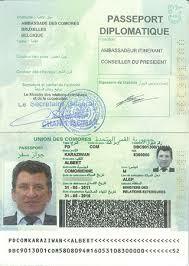 Albert Karaziwan, a Syrian with residence in Belgium, has a company that is behind the scam, and his business also prints passports for several sub-Saharan African nations, which frankly means that there is also a risk that ANY African passport, printed by the Semlex Group, may be bogus and/or issued to a criminal or terrorist financier, who paid a large bribe to obtain it. Candidly, accepting, as proof of identity, any passport from the Comoro Islands, is now so high-risk that you should consider red-lining anyone, not actually born in the Comoro Islands, who can prove it, using other documents, who attempts to open a bank account abroad, or who seeks to enter your country. Does your prospective client speak French ? What is his ethnic background ? He is probably not a true Comoran. Govern yourself accordingly. The situation is clearly out of control; govern yourself accordingly, if you are a compliance officer. The jury today got the Iran oil sanctions evasion case, more commonly known as the Zarrab case, although Reza Zarrab has himself entered a plea, and is assisting the Government at the trial. As of Wednesday night, they have not yet reached a verdict. We are on verdict watch, and will publish the decision here, as soon as it is announced. Only Mehmet Atilla, the Halkbank deputy CEO, is on trial, as the other defendants are not yet in custody. Zarrab testified against him, contesting Atilla's version of the facts. The real question is whether, and when, others will be indicted, based upon Zarrab's cooperation. With all the hoopla surrounding the European Ponzi schemer, Pedro Fort Berbel, safe in his Dominica hideout, the articles about his case have failed to dwell upon one important fact: several prominent financial institutions, located in the Commonwealth of Dominica, accepted large deposits from the master Ponzi schemer, even after his Ponzi ways were public knowledge. 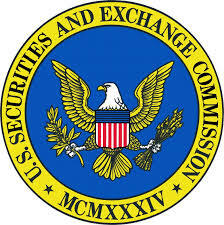 The seizure actions, filed by the Securities & Exchange Commission (SEC), have identified those banks, which obviously conducted zero Due Diligence upon the funds, or did not care at all that they were taking criminal proceeds (Willful Blindness). The fact that the money was coming from the fraudster, and going into attorney accounts (designated as trust accounts ??) does not let the banks off the hook.We are talking about millions of US Dollars here. (1) National Bank of Dominica. (2) Royal Bank of Canada, Dominica. 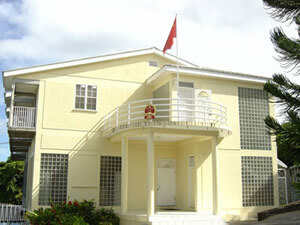 (3) The Bank of Nova Scotia, Dominica. Note that there were also, the year prior, large deposits made by Fort, into First Caribbean International Bank, in Dominica. 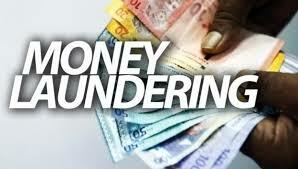 Irrespective of whether the United States brings money laundering charges, compliance officers at North American banks that send or receive wire transactions from Dominica might want to institute a policy of Enhanced Due Diligence upon any substantial wire involving the above banks or branches, as the Ponzi schemer is still at large, and well protected by the government in Dominica. he may have other accounts, or use attorney accounts as fronts. Nidal Waked Hatum, a principal in Panama's notorious Waked Money Laundering Organization, has been sentenced to twenty seven months of imprisonment, in a plea deal that leaves most observers astounded as to the short sentence he received. The Waked Organization, said by many to be the largest money laundering operation in the Western Hemisphere, moved massive amount of criminal proceeds for Colombian and Mexican drug trafficking organizations, for at least two decades. An appropriate sentence, even with cooperation, should have been closer to ten years, if not longer. Perhaps the fact that the Government obtained an open-ended Order of Forfeiture against the criminal operation, which the Government itself estimated exceeded $20m, but could be larger, was the primary motivation for the plea agreement. Unfortunately, the fifty five career Venezuelan money launderers, who ply their dark trade in the Republic of Panama, with impunity, are not deterred by this sentence. In truth and in fact, they might even be having a celebratory champagne party, to toast the fact that Waked's life will not be spent in a Federal Prison in the US, but back home, after a short sentence. We note that Court requested that Waked be designated to a prison located in South Florida, which will assist the Government in debriefing him at length, but which will make his brief incarceration easier. Given the severity of his crimes, he should have been sent to a prison like the one in Sandstone, Minnesota, to serve out his time, but it appears that potential revenue trumps justice in this case. HOW MANY GRENADA & DOMINICA CBI AND DIPLOMATIC PASSPORTS ARE HELD BY HAMAS TERRORISTS ? While the ongoing controversy over the dangers of East Caribbean jurisdictions issuing CBI and diplomatic passports to Iranians, Chinese, Russian organized crime members, and financial criminals continue to concern compliance officers at international banks located in North America, and Europe, there is news of a greater danger. 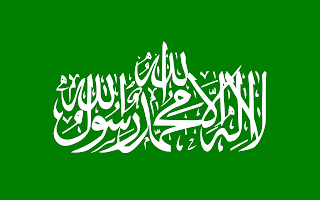 A trusted source, with close links to Palestinian organizations, has stated that a large number of Dominica and Grenada passports have been issued to Hamas agents. Hamas is a Specially Designated Global Terrorist organization with a thirty year record of committing terrorist acts against civilians, including Americans. Passport holders from Dominica & Grenada, as members of the Commonwealth of Nations, which includes most former British possessions and territories, each have visa-free access to dozens of countries, from which terrorist operations could be launched against Western interests, and nationals. The fact that Palestinian Arab names must be transliterated into English in the Latin alphabet, thereby giving the passport holder a new identity, not known or appearing on any terrorist watch list, to foil any counter-terrorist investigation that might have revealed the risks posed by the holders, whose new passport names, when searched in any law enforcement or intelligence service database, will come up clean, even if the holder is OFAC-sanctioned, or a fugitive from justice. The continual failure of both Dominica and Grenada to observe transparency, and provide the private sector with complete lists of all their CBI & diplomatic passport holders, past & present, poses a clear and present danger of increased terrorist financing, Weapons of Mass Destruction (WMD) proliferation, and money laundering in support of global terrorist operations. Both Western law enforcement agencies, and compliance officers at international banks, must have accurate and complete lists, with images of the passports, to suppress the above financial crimes. Have any of these passports been employed, by Hamas agents, to gain entry into the nations of North America, and Europe ? We cannot say, but obtaining that information, forthwith, is critical to the suppression of terrorist financing, and the early identification of Hamas' terrorist targets, so that they may be interdicted, prior to implementation. If there ever was a valid reason for the governments of Dominica and Grenada to publish the CBI/Diplomatic passport lists, this is it. Of course, the scandals which may follow, when the voters of these two countries learn that criminals and terrorist bought their passports, could bring down those governments, but they appear to already need a government change, due to rampant corruption. Who has those passports ? 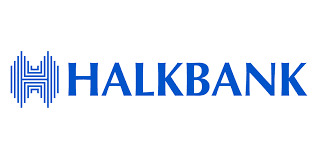 Attorneys for Mehmet Hakan Atilla, the Halkbank Deputy CEO who is being tried, in the massive New York Federal Iran sanctions case, have moved for a Judgment of Acquittal*, asserting that the evidence is insufficient to sustain a conviction. Atilla is the only defendant, among many, who is actually in trial. The primary defendant, Reza Zarrab, one of the principals in the oil-for-gold billion dollar scheme, has changed his plea, and is cooperating with the Government. Counsel makes these points in their letter motion: (1) "All of the charges must be dismissed because the Government has failed to prove that Mr. Atilla knew of any US connection to Zarrab's scheme." (2) "The conspiracy charges in Counts 1,2,4, and 6 must be dismissed on an alternative ground; because the Government has charged multiple conspiracies, on one of which Mr. Atilla, at best, has been shown to be a participant." (A) "The evidence demonstrates that Atilla knowingly participated in conspiracies to violate US sanctions, defraud US financial institutions, and engage in Promotional Money Laundering." (B) "Atilla's attack on Count One is meritless as a matter of Law and Fact." (C) "The evidence shows that Atilla was part of a single conspiracy." The Court has not yet ruled on the motion. We shall continue to update our readers on the progress of the trial. * The Government has rested. A prior defense motion, for a mistrial, was denied. 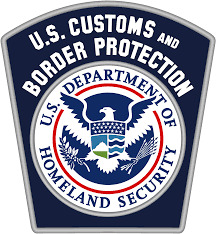 Reports from Grenada indicate that there are additional foreign nationals who have purchased illegal Diplomatic passports, from Government officials, and are using them to circumvent customs & immigration officers at international borders, in violation of the Vienna Convention, a binding United Nations treaty, and may be employing those privileged documents to facilitate the commission of financial crime. An investigative article, by a local Grenadian newspaper, The New Today, detailed the story. A Pakistani national, Fahad Sultan Ahmed, residing in the United Kingdom, reportedly obtained a Grenada diplomatic passport two years ago, during the present administration of the reigning New National Party. He is not named in any official diplomatic capacity at the Grenada High Commission in London, nor does he hold any other portfolio or assignment, anywhere, for Grenada. 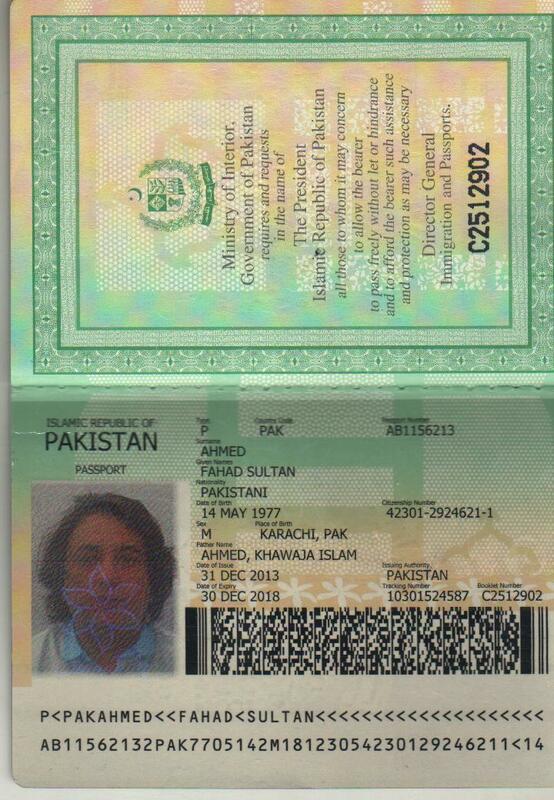 His Pakistani passport appears at the beginning of this article, though it is not know under what name he acquired the Grenada diplomatic passport. Ahmed is apparently a Pakistani businessman residing in the UK, by virtue of a visa reportedly obtained for him by Mishcon De Reya LLP, which is the law firm that represents Henley & Partners Ltd. Regular readers of this blog will recall that it was a Henley & Partners officer that Grenada CIP Chairman Kaisha Ince stated she was going to contact, to get one of our recent articles, (which detailed the efforts of a Ukrainian national to also obtain a Grenada passport) removed from the Internet. That same conversation, to which the Prime Minister, Keith Mitchell, was a party, indicated that the PM feared the news would damage his reelection chances. All efforts to obtain comments, or denials, from the Government of Grenada, regarding the existence of the Ahmed diplomatic passport, have reportedly been ignored. The question remains: just how many Grenada diplomatic passports have been sold to foreign nationals ? The answer will affect how international banks treat Grenada passport holders, and large financial transactions originating from there, and how Country Risk on Grenada is assessed. IS THE SPANISH GOVERNMENT BEHIND THE HUMAN RIGHTS VIOLATIONS IN THE KOKOREV CASE ? Inasmuch as most experts believe that certain wealthy Spanish & Italian interests, who covet the oil concessions of Equatorial Guinea, and who convinced Spanish prosecutors to arrest and hold the Kokorev family indefinitely in a bogus money laundering case, until they give up EG president Obiang, is Spain itself liable ? Sovereign immunity aside, where Human Rights violations occur, under national sponsorship, should not a European Union court take jurisdiction, and rule for the Kokorevs, for massive damages ? 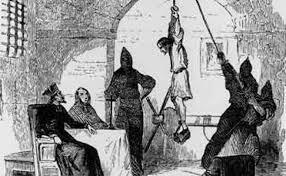 Take a minute, this holiday season, and consider what kind of holiday Kokorev will be having, courtesy the 21st century Spanish Inquisition, and try to answer my question. The Commonwealth of Dominica, formerly a democracy located in the East Caribbean, has deteriorated into a strongman dictatorship, where the regime's periodic reelection is guaranteed through the rampant payment of voter bribery, and bringing in expat voters via jet airliner, is fast becoming a high-risk jurisdiction, where any foreign investment, or even the physical presence of foreign managers and staff, is dangerous. We have previously expounded, at length, upon the sale of hundreds of Dominica diplomatic passports to dodgy foreign nationals (violating United Nations treaty law), and the persecution of Opposition leaders, be they official party members, or simply citizens unhappy with the mismanagement of their nation by obviously corrupt officers, at the highest level. 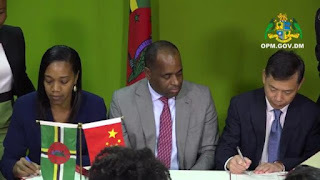 The country's Foreign Minister refuses to disclose the names of the foreign diplomatic passport holders, alleging that they cannot perform their "diplomatic duties" if publicly named. This excuse is not only legally insufficient, it insults the intelligence of all Dominicans. 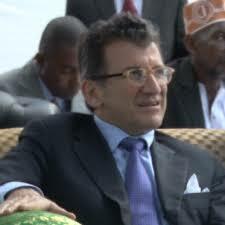 The foreign diplomatic passports holders are not performing any diplomatic duties whatsoever. The latest news is, frankly, the last straw. 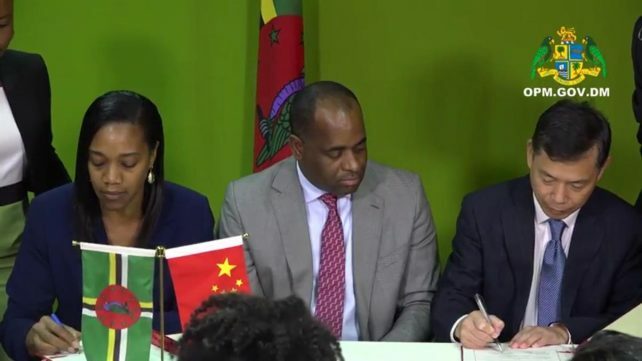 Dominica signed a number of agreements with the Peoples' Republic of China, and one in particular is extremely disturbing. It is a three million dollar military aid grant; What's wrong with this picture ? Dominica has had no standing army since the 1980s; it does have a rather large paramilitary unit, technically the special response team attached to the Dominica Police, known as the Special Service Unit, or SSU. This armed unit, when it turns out, upon the orders of senior government officials, wears battledress camouflage, carries military weaponry, and is not your typical law enforcement SWAT Team. Its training schedule is military in nature, and not limited to crowd control or emergency response. Incidentally, it provides security for the Chinese Embassy, which is extremely large, given that there is virtually no trade or tourism between the two countries. The SSU already has state-of-the-art equipment and supplies, furnished by the Government of the Peoples' Republic. So why do they need a $3m military grant ? For surveillance equipment, armored vehicles, or aircraft ? We cannot say, but given the fact that the SSU has repeatedly turned out soldiers when any Opposition leaders wish to be heard in public, it may be for increased intimidation power, or if Constitutional rights are limited or terminated. 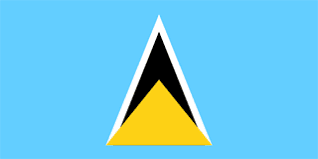 For all of the above reasons, it is suggested that compliance officers at North American and EU financial institutions that handle Dominican transactions raise Country Risk on Dominica to High. DID APPLEBY CONTACT BERMUDA IMMIGRATION ABOUT ICIJ JOURNALIST ? Remember when the journalist seeking information about the bearer share companies of the British Virgin Islands was denied entry into the BVI, by local immigration authorities ? It looks like the next time a journalist from the ICIJ tries to get some straight answers in Bermuda, he'd best stay away. 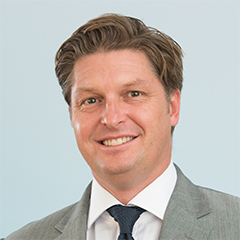 An ICIJ journalist has reported that his visit to Appleby's Bermuda headquarters, where staff had refused to answer questions submitted in advance, meet with him, or even identify themselves, was a total waste of time. When he returned to DC, some officer from the Bermuda Immigration Service, armed with his direct line, contacted him and asked him questions about the purpose of his trip. It was reportedly not a friendly call. Only Appleby had received a business card from the journalist; you do the math. So, is there any difference between the treatment the BVI-bound journalist, who was run out of town, and the "Big Brother" telephone call the ICIJ journalist received ? No much. Only time will tell whether the Paradise Papers will have the same effect upon Appleby as the Panama Papers had on Mossack & Fonseca only time will tell. 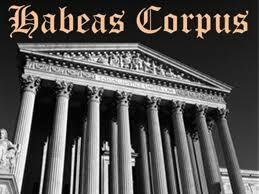 A US District Judge in Miami has set January 9, 2018 for oral argument, on former Panamanian President Ricardo Martinelli's Petition for a Writ of Habeus Corpus, challenging the Magistrate Judge's order for his extradition. Martinelli remains in Federal custody, amid rumors that his extreme efforts to obtain bond, pending the resolution of his extradition, were made because he intended to flee to the Dominican Republic, where rampant corruption could delay any legal action to remocve him for years. Curiously, there is still no public access to any of the filings in the Habeus proceeding, giving rise to the suspicion that some of the facts alleged by Martinelli may reveal sensitive information about Martinelli, or Panama, that law enforcement does not want publicly released, including about ongoing criminal investigations. Court files are rarely sealed in this manner. We are still unable to analyze any of his arguments, to determine whether they are legally sufficient, or even valid arguments, to be made by his counsel. The public, in the Republic of Panama, now fears that their former president, alleged to be the most corrupt in Panamanian history, will never see the inside of a Panamanian courtroom. The Miami proceedings have dragged on for months, and some are beginning to wonder whether some government agency, with a prior relationship to Martinelli, is involved. WHO IS MINDING THE STORE OVER AT OFAC ? I am still wondering why the Office of Foreign Asset Control, OFAC, never levied a Civil Penalty against Range Developers or Range Hospitality,* for offering or selling time-share investments in the US, to the Al-Randatain residences, located in Karbala, Iraq, due to the fact that the contractor, and later owner, of the project, was an OFAC-sanctioned entity named Tadbir Construction Development Group. Readers who did not see our prior article may access it here: Americans Sending Time-Share purchase deposits to sanctioned Iranian Company. I have confirmed that OFAC received actual notice of the ongoing violation, but action was ever taken to levy a monetary fine, or name & shame the offending entity, or its officers or principals, and to compel the company to build an effective compliance program. Of course, the fact that Tadbir was an Iranian entity, and on the OFAC sanctions list, would have been apparent to anyone who Googled it. How did the time-share deposits wind up in Tadbir accounts in Iran, I wonder ? Whether Range, which has a number of corporate identities, in different jurisdictions, ran afoul of international sanctions against Iran is yet another issue that OFAC seems to have overlooked. Who is watching the store, Mr. Director ? 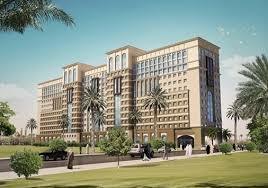 * Range Hospitality WLL, incorporated in Bahrain. Range Hospitality, ltd., incorporated in the United Kingdom. WILL EU BLACKLISTING AFFECT GRENADA & ST LUCIA CBI PROGRAMS APPLICATIONS ? In a much-publicized manner, the European Union this week named & shamed a number of jurisdictions, for their lack of international cooperation. 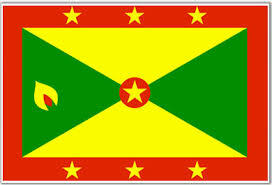 Grenada immediately characterized its failure to comply as " inadvertent," and hastened to clear up the problem, hoping to reverse the blacklisting forthwith, though the government's failure to act was about as accidental as Antigua's "delays" in extraditing its former (and eminently guilty) banking regulator, to face American justice in the Stanford International Bank criminal prosecution. There are no accidents in the East Caribbean, when it comes to governance. Grenada & St Lucia may have a bigger problem than they believe; Country Risk will certainly be raised upon both jurisdictions, as the direct consequence the EU action. Compliance officers, in North America as well as in Europe, are taking note of all countries named by the EU, and irrespective of what consultancy firms say, when they trumpet the CBI virtues of both countries, their programs becomes less desirable than those of, say Antigua or St Kitts-Nevis. Therefore, the EU action appears to have served the purpose for which it was taken, to focus compliance attention where it is sorely needed, and to stimulate jurisdictions that choose to ignore international norms, in a way that they immediately recognize, in their pocketbooks. The recent media coverage, detailing the role of reputed Russian Organized Crime members, who were purchasers of most of the condominium apartments at Panama's Trump Ocean Club, fails to explain precisely how the developer, Roger Khafif, the CEO of Newland International Properties Corp., was able to obtain $220m in construction bond financing for the project. No discussion of the Trump Ocean Club International Hotel & Tower is complete without that information, as it reveals the presence of seed money of yet an additional organized crime group. Mr. Khafif, who was obsessed with creating a Trump building in Panama City, swapped a property he owned for the tract that became the hotel site. He then needed to convince Bear Stearns & Co. to underwrite the bond issue, and for that he had to have purchase contracts, or options to purchase, in hand, with deposits, to demonstrate that he had buyers ready to close. Though he we do not know how he accomplished this feat, he soon had a sufficient number of signed agreements to obtain the needed financing. The trouble is, most of the purchasers have been identified as members of Panama's powerful Syrian organized crime syndicate, which hides in the shadows, but influences much of what goes on, behind the scenes, in Panama. This organization, whose members are descended from immigrants who came to Panama from a specific area in the Middle East, consists of seven major families, whose intermarried reach extends into every major bank, and every government agency. Roger Khafif's family is reportedly from Aleppo; connect the dots. These individuals later sold their contracts at a huge profit, after Alex Ventura suggested that prices at the Trump be doubled. Without their seed money, and support, the Trump Ocean Club would have never been built. This is the first of a series of articles exposing details of the Trump Ocean Club International Hotel & Tower project that have not been covered by conventional media. 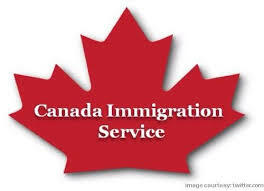 It is being reported that customs & immigration officers in the United States and Canada are detaining holders of CBI and Diplomatic passports from the East Caribbean countries participating in Citizenship by Investment programs. Passports are being photocopied, mobile telephones inspected, and questions asked about business activities of the holders. Some reports state that the delays were extensive. Readers who wonder how immigration officers can identify CBI passport holders, the answer is simple. If the holder's listed place of birth is found to be NOT in the country from which he or she has a passport, in most cases the passport is CBI. Commentators in the Caribbean have long warned that CBI & diplomatic passports issued to career criminals, individuals from sanctioned nations, and those from high-risk countries, will result in increased scrutiny, by North American law enforcement agents. When they photocopy your entire passport, and cross-examine you in depth, you have become a Person of Interest to law enforcement. Their question: Are you using the CBI passport to evade detection of your true identity and nationality ? Whether all nationals, entering the US & Canada from CBI jurisdictions will ultimately face extended questioning, and temporary detention, while their possessions are searched, is the question being asked. That lucrative CBI income may come with a price that is to be paid by every national from those countries, when he engages in international travel. We have repeatedly advised that this might occur, but to date our warnings have fallen on deaf ears. Perhaps now they will be taken seriously. AMERICANS SENDING TIME-SHARE PURCHASE DEPOSITS TO SANCTIONED IRANIAN COMPANY ; WHERE WAS OFAC ON THIS ? 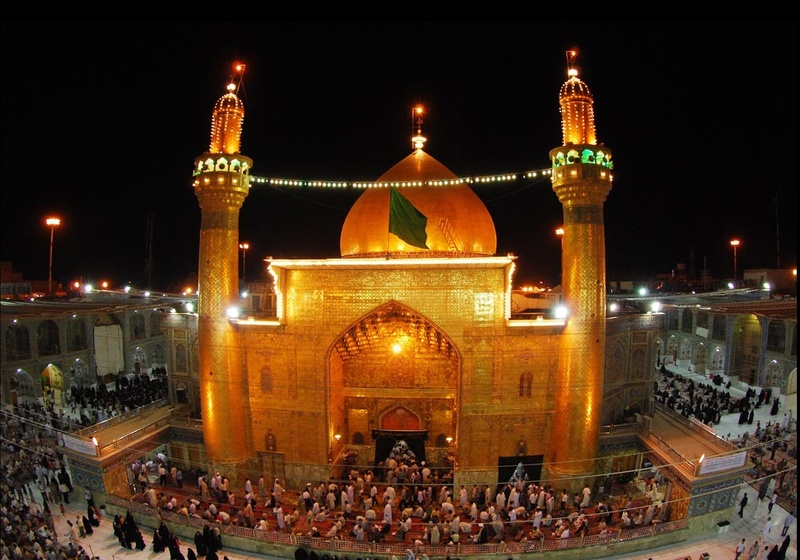 Most of us know where Karbala is in Iraq; in 2003, the 101st Airborne Division shed a lot of American blood when taking the city from the Republican Guard. 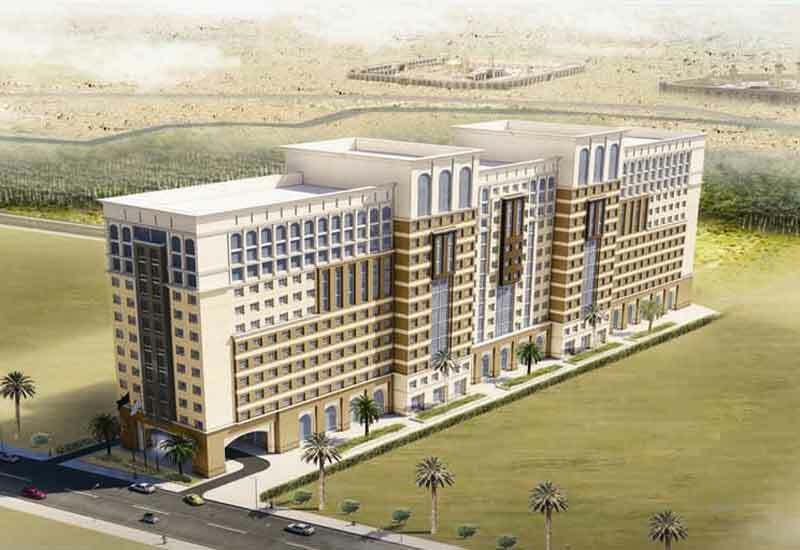 Karbala is an important destination for Shi'ite Muslim pilgrims, and several years ago, the Dubai-based project developer, Range Developments/Range Hospitality broke ground there for a timeshare project, a $100m hotel, called Al-Randatain Residences. Range, which is familiar to those of us who focus upon the Caribbean, as the developer of several 5-star hotel and resort projects, in jurisdictions where Citizenship by Investment laws require investments of some kind, such as in St Kitts and Dominica, chose as its principal contractor in Al-Randatain the Tadbir Construction Development Group, which is an Iranian company. What's wrong with this picture ? 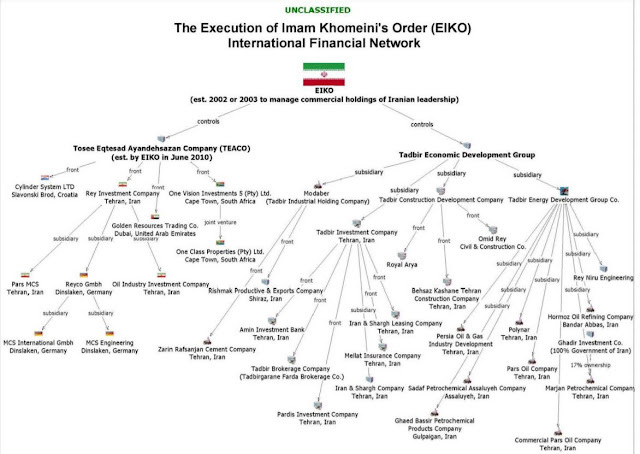 Tadbir is not only owned by the senior leadership of the Islamic Republic of Iran, it is part of an elaborate Iranian plan where profits are kept from the Iranian government treasury, and distributed to those groups at the top of Iran's power structure, and yes, it is also OFAC-sanctioned. (1) First, Range offered investments, in Al-Randatain, to American Muslims, from two of its US-based offices, and through at least seven sales promotions, all conducted inside the United States. Purchasers were sending pre-construction deposits, some of which were obviously turned over to Tadbir, for constriction costs. Was American money going into the accounts of an OFAC-sanctioned entity from Iran ? Tadbir was to receive units in the project, as part of its compensation. (2) Then, Range ran into serious cash flow problems, at the Al-Randatain site. Some reports allege that the financial difficulties were due to corruption, and the illegal diversion of funds, but Range ultimately sold its entire interest to Tadbir. 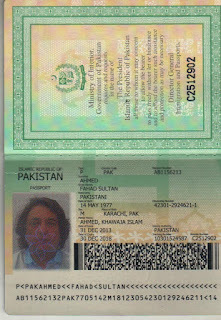 Were the deposits of American purchasers not now flowing into Tadbir's accounts, with Tadbir an OFAC-sanctioned entity ? Of source they were. 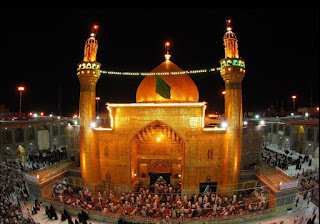 (3) Other analysts fear that, when cash flow became a real problem at Al-Randatain, some of the deposits, made by Americans, for the Park Hyatt (St Kitts) might have found their way into the Karbala project, and its Iranian contractor. We cannot confirm whether this occurred, but a routine audit would certainly put to rest this nagging question. So, the question remains, where was OFAC in all this ? They were alerted, I can tell you from personal knowledge. Americans sending funds to Iraq would certainly ring bells in my shop, I assure you. Were Suspicious Activity Reports (SARs) filed in some of these transactions ? Were the US sales promotions, of an Iraqi project publicly known to be under construction by an Iranian contractor, red flagged by anyone in US law enforcement ? Obviously not, because there have been no OFAC Civil Penalties levied in this matter, against Range, or any other entity. We wonder whether there were political considerations involved; Iraq is stated to be an ally of the United States, though realistically, it is now within the Iranian sphere of influence. We hope this was not some well-intentioned State Department decision that resulted in Americans funding Iran. As promised, below you will find the third of three groups of images displaying actual text messages from Grenada head Kaisha Ince's telephone. Please be warned that they include crude and discriminatory statements, which are grossly insulting to the people of of Grenada. No public servant, elected or appointed, should ever remain in office after venting such anti-Black prejudice, whether in the Caribbean, or elsewhere. These messages are between Kaisha Ince, and a trusted friend. Kaisha Ince is not serving the people of Grenada well as CBI head; demand her resignation, and send her back to Trinidad, so that she can face the issues she left behind there. We do not ordinarily discuss marital infidelity on this blog, but when it involves a married Prime Minister and his CBI protege, and these arrogant individuals attempt to censor news about Grenada's illegal diplomatic passport sales scheme, and threaten defamation suits, when we literally have the smoking gun in hand, the evidence is going to be published. Is this what we call "Sexting" ? Read it and judge for yourself what these two people are planning. Computer hackers, reportedly based in the United Kingdom, and in Grenada, have sought, over the weekend, to crash websites carrying this blog's articles on official corruption in Grenada, centering around the role of the Prime Minister, and the head of the country's CBI program. Fortunately, those attacks were unsuccessful, and the articles remain available to the public, on this blog, and elsewhere in the World Wide Web. Christopher Willis, the cashiered Managing Director of Henley & Partners Caribbean, Ltd.
Government-controlled media in Grenada is claiming that the quotes from recent articles, exposing an illegal diplomatic passport scheme, rampant corruption, marital infidelity, and anti-Black prejudice, are not genuine. Readers should judge for themselves, after reviewing the images appearing below. The Prime Minister sends CBI head Kaisha Ince a hyperlink to my original article, detailing the $1m charge for the purchase of a Grenada diplomatic passport, naming Willis as the central figure. The PM demanded to know how this blogger obtained the information. The PM orders her to speak to Chris [Kallin], as Mitchell "cannot afford this kind of information to come out before the election." Ms. Ince indicates that she has already spoken to people at Henley, who are " already aware of it and will put pressure on this blog writer [yours truly] to take the article down." I will leave it to the opinions of attorneys in Grenada to decide whether Ince, and indeed the PM himself, committed three criminal acts, or only two. Grenadians deserve honest public servants, not these two manipulators. WILL TURKEY'S SEIZURE OF ZARRAB'S ASSETS MEAN MORE NEW INDICTMENTS ? 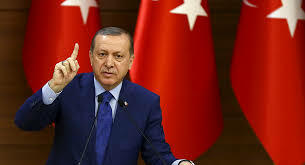 After Reza Zarrab, the Iranian trader who used Turkish banks to evade international oil sanctions against, testified that his criminal acts were approved at the highest levels of Turkish Government, including Erdogan, Turkey acted to seize all of Zarrab's assets in that country. What effect, if any, will the seizure have on who is indicted next, by US prosecutors, for facilitating the sale of billions of dollars of sanctioned oil, and covert payment for that contraband. Zarrab is now effectively banned from returning to Turkey, and he certainly has taken offense to this betrayal. 1. Will more Turkish bankers be implicated by Zarrab, and indicted ? 2. Will Turkish cabinet members be charged ? 3. What other nationals (Iranian, Chinese, Malaysian or Dominican) will be charged sooner, rather than later ? 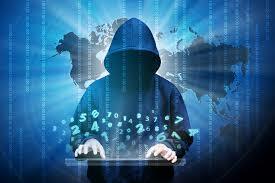 The case has become even more interesting to students of global financial crime. Kaisha Ince, the head of Grenada's CBI program, has issued a blanket denial of the damaging facts presented here on this blog yesterday, entitled Will Grenada Sack its CBI Head for Misconduct and Corruption ?, choosing to attack this blogger, rather than reply on the merits. The truth obviously hurts. Shoot the messenger will not work here, especially since Ince's previous message to the Prime Minister clearly indicated that she was trying to bring pressure to bear upon me, to remove these articles. Ince was more concerned about the source of the leaks, and neither individual denied the truth contained in the articles. We do not make statements without a factual basis; this blog has screenshots showing ALL the statements quoted in the last article, and we will make that information available to any US law enforcement agency investigating corruption in the CBI and diplomatic passport programs. It is certainly not "fake news" in any form. 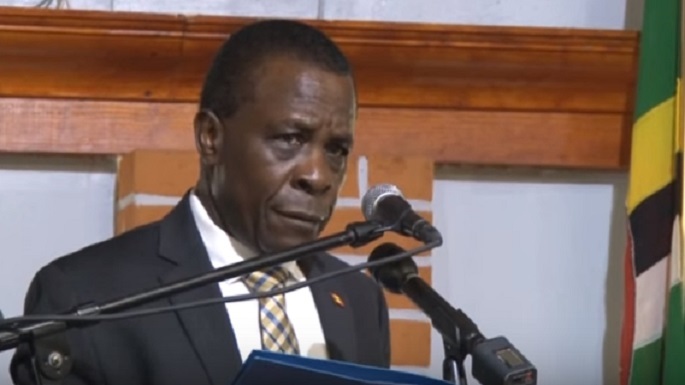 These arrogant Grenadian government officials obviously do not care that their telecommunications are not secure, especially at the receiving end, when they discuss corrupt activities, marital infidelity, kickbacks & bribes, and anti-Black prejudice. Does the Prime Minister know where his telephone is at this moment ? Perhaps the voters in Grenada will take note of this scandal in the next election. While I have no interest in any political party on Grenada, or its officials and candidates, I am opposed to the "Banana Republic" corruption that the CBI and diplomatic passport programs has spawned in Grenada. WILL GRENADA SACK ITS CBI HEAD FOR MISCONDUCT AND CORRUPTION ? In addition to the information contained in yesterday's article, Grenada's Prime Minister tried to have our Article Exposing Million Dollar Diplomatic Passport Fee taken down, there are a number of other acts of misconduct or corruption, attributed to CBI Head Kaisha Ince, which, when taken together, justify her immediate removal for cause. Confirmation of these conversations can be easily obtained, through either the telephone utility, or Ms. Ince's telephone itself. These are some of the grounds, which have surfaced of late, together with verbatim statements she made, via text message, with either the country's Prime Minister, or a close personal friend of Ince. You are warned that some of these conversations may be disturbing, vulgar or crude, but the offensive language needs to be seen. It appears that they are reluctant to discuss personal issues on the telephone; one conversation included a query regarding whether a voice telephone call was appropriate ("PM can I call you ?"). PM: ... "When are we going for another meeting then ?" PM: "Yes, dinner at mine ? Will there be my special dessert ?" Ince: "Pick up where we left off last week ?" PM: "You know, naughty, funny." 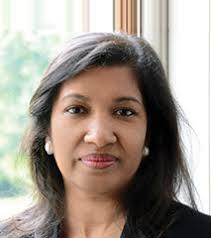 (2) Ms. Ince, who is of East Indian origin, originally from Trinidad, is prejudiced against Black Grenadians. This is a conversation between Ince and a friend: WARNING- DISTURBING. Ince: ... "this place drives me [Emoticon for crazy]". Friend: "U stressed with it ?" Ince: "Just lot of work, and they're not professional." Friend: "Yep, I know that - local workforce got bad attitude." Ince: "Damn, surrounded by them "! Friend: "Why do a black man drive with his windows up ? That'll cheer you up [Emoticon]." Ince: "It smells in my office, too." Friend: "What are the three things you can't give a black person ? A black eye, a fat lip, and an education." Ince: "LOL" [ laughing out loud]. (A) Is it true that her daughter's British education is being paid by Henley & Partners ? (B) Is the reason Ince is retaining outside professionals for the CBI agency, kickbacks she receives ? 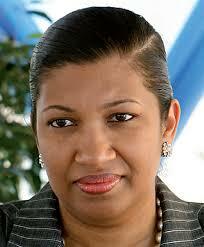 Will Grenada terminate Kaisha Ince as CBI Head,. given the seriousness of the above violations ? We cannot say, but we shall continue to cover the issues.